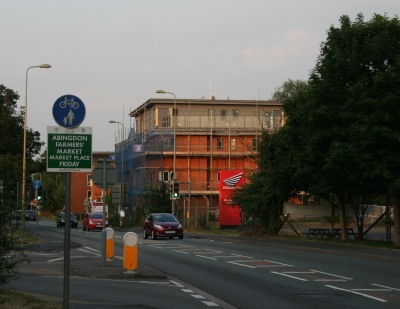 For years there was just a pile of earth between the motorcycle centre and care home on Marcham Road, but very high flats have replaced the pile of earth. 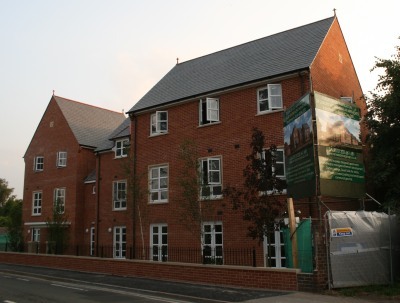 New retirement flats next to John Mason school are also nearing completion. At Abingdon College the new training workshop for motor mechanics should be ready for the new college term. 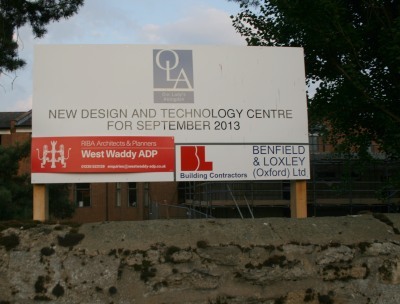 Very difficult to see what is happening behind the stone wall of Our Ladies Abingdon, but a new design and technology centre should also be ready for the new school term. The Blog will have a short summer break. Back in two weeks. 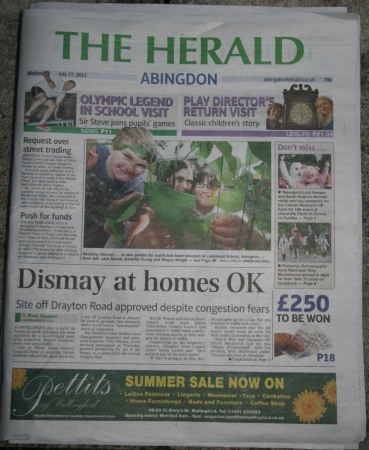 The Herald had quite a major revamp three weeks ago – probably the biggest since it went tabloid. The format has become more modern, more pages have been added, and new writers do features in the Herald Leisure section. The price has also jumped from 45p to 70p. Personally, I read it much as before, skipping over most of the Wantage, Didcot, and Wallingford stories unless they strike me as particularly interesting, and concentrating on what is happening in Abingdon. 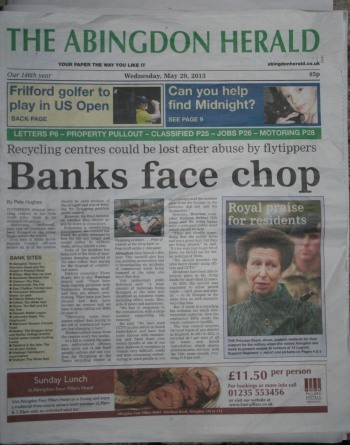 The title is now “The Herald – Abingdon” – rather than “The Abingdon Herald”. 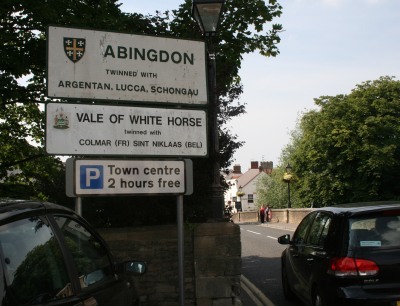 Free Parking was introduced in December 2011 and for the first year or so there were temporary signs round car parks warning people to get a ticket for the two free hours. These are now replaced by permanent signs. Reynolds Way pharmacy have signs all round South Abingdon saying they have Free Parking. Parking was always free at Reynolds Way but it helps advertise a fairly new service – so clever marketing. Recently Waitrose changed to have 2 hours free parking to fall in line with other carparks – they were 90 minutes. And every morning along Wilsham Road you will see a long queue of cars who get all day Free Parking. People working in the town centre can save £5.30 (6 hour+) a day by walking the last half mile. But it is not always so popular with Wilsham Road residents. Close by on one side of Mayott House (featured yesterday) is the Cross Keys pub – re-opened after a short closure during which Greene King found a new landlord. 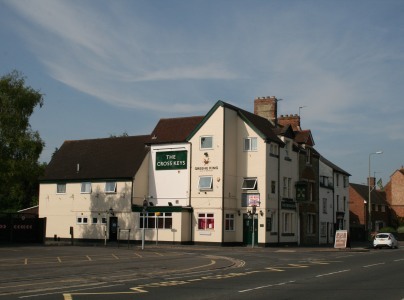 The Cross Keys has much needed accommodation for tourists wanting to stay in Abingdon during the summer. On the other side is 100 Ock Street. 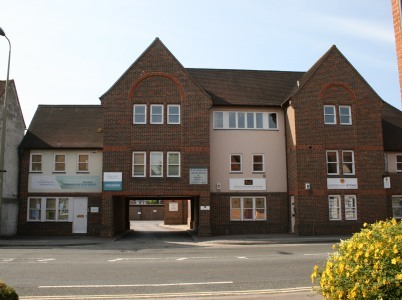 Lansbrough Lettings were in West St Helen Street, and T & Co Financial Services were nearby in Lombard Street – tempted away by the facilities that number 100 Ock Street provides. Also at 100 are Dr Ken Stalker, Private Dental and Implant Practice, and The Complementary Healthcare Practice. 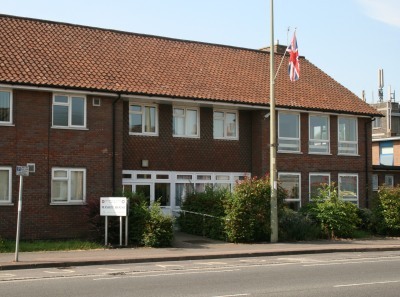 There are plans underway to demolish Mayott House, the care home next to the fire station, and erect 42 (affordable) flats for frailer older people together with a communal lounge area and courtyard. The new design is three storeys high but the third storey has dormer windows in the roof – not wanting to be overbearing. There was a public consultation a few months back about the plans. The main concern by neighbours was the disruption caused during construction. 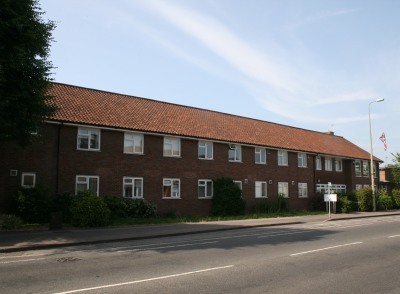 Lets hope this will provide a place where elderly people can live as independently and cheaply as possible and that it does not need knocking down in another 40 years. 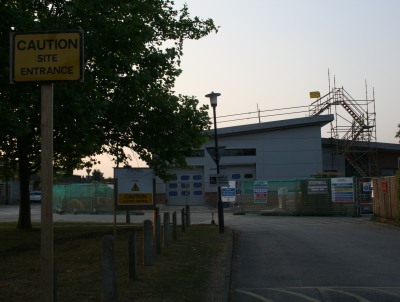 The plans will be decided upon in the next few weeks by the district council.